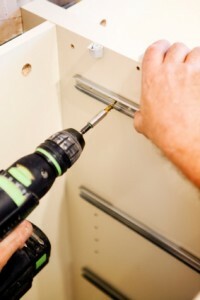 The execution phase of your project is handled by our professional installation crew. A preplanned sequence determines every step of the installation process. Our lead installer overseas every aspect of your installation while our on-site project manager serves as a single point of contact and ensures continuity from start to finish. The final steps of your installation include predetermined cleanup and recycling stages. Fine-tuning and testing are also built into the process to ensure complete excellence. A final post-installation survey is completed to make sure that all of your needs are met. For a cost free, no obligation consultation of your installation needs, please contact us by phone or fill in the form on the page.